It has been nearly eight years since Snow Patrol played their last UK Arena Tour in Scotland at Glasgow’s Exhibition centre. 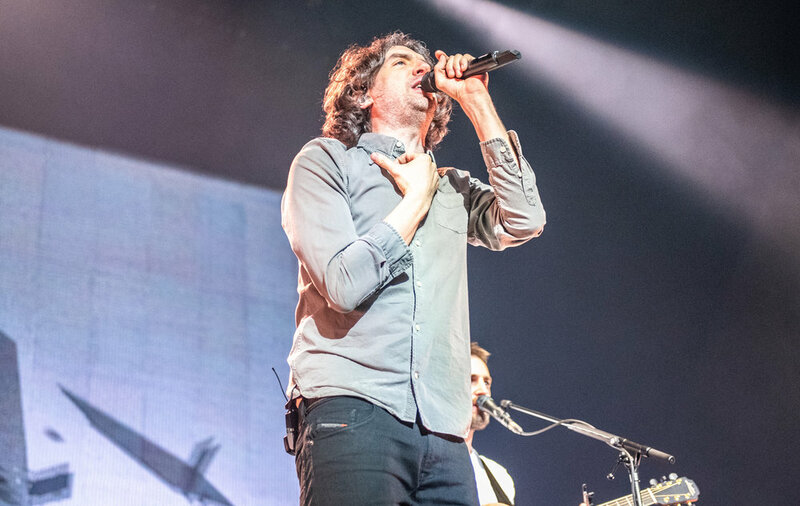 Tonight Gary Lightbody and co took on their first show at Scotland’s newest music venue The SSE Hydro in front of nearly 13,000 Snow Patrol fans. 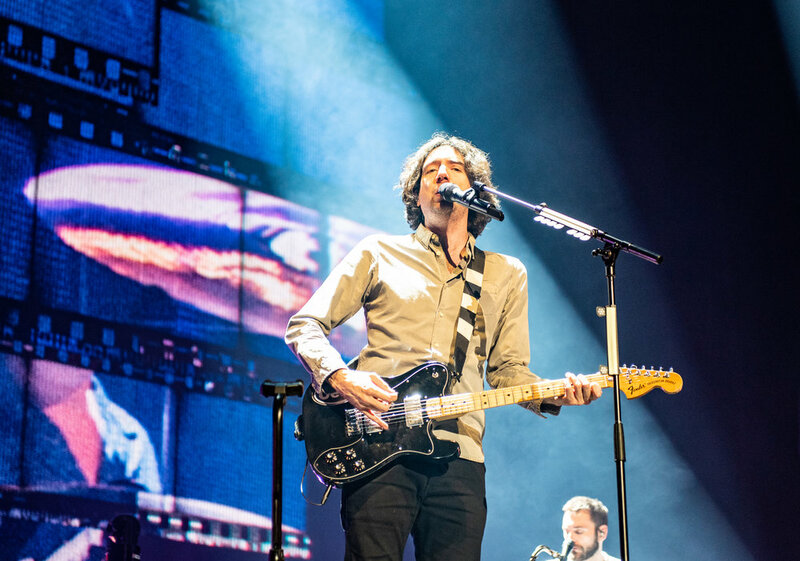 Snow Patrol return to the music scene in support of their brand new comeback album ‘Wildness’ which was released last year and see's them out on Tour across the UK playing arenas and other venues around the world. Despite being away for for six years, their absence didn’t seem to dimmed their mass appeal as iconic band from Scotland. 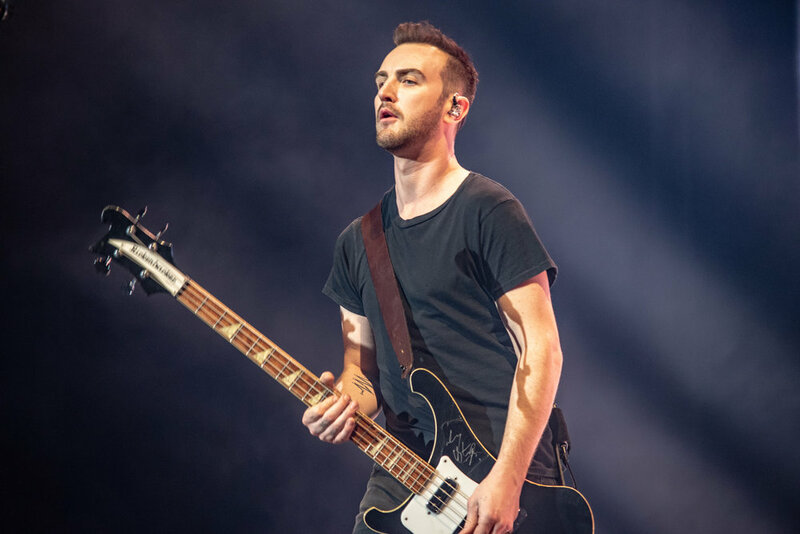 Opening up for the show were Northern Ireland’s ROE who performed an a short fifteen minute set and then Republic of Ireland’s favourites Kodaline appeared on stage who really engaged well with the crowd who were singing along to lyrics and connected well with the audience. Kodaline definitely warmed up the crowd playing some known favourites such as, Brand New Day, Love Like This, High Hopes and All I Want. Next up on stage as lights dimmed down, Snow Patrol were ready for their homecoming show, their last live performance in Scotland six years ago was their epic headline set at one of Scotland’s most memorable music festivals… T IN THE PARK at Balado Airfield in Kinross which is no longer around, it was definitely a memorable performance. Hitting straight into one their classics welcomed by cheers and applause from the Scottish crowd was Take Back the City, followed by more fan favourites such as Chocolate and Crack the Shutters. Frontman Gary Lightbody was doing what he does best jumping around the stage getting the crowd going which was success. These tracks kicked open one-hundred minute set which went down a treat with the Glaswegian crowd. 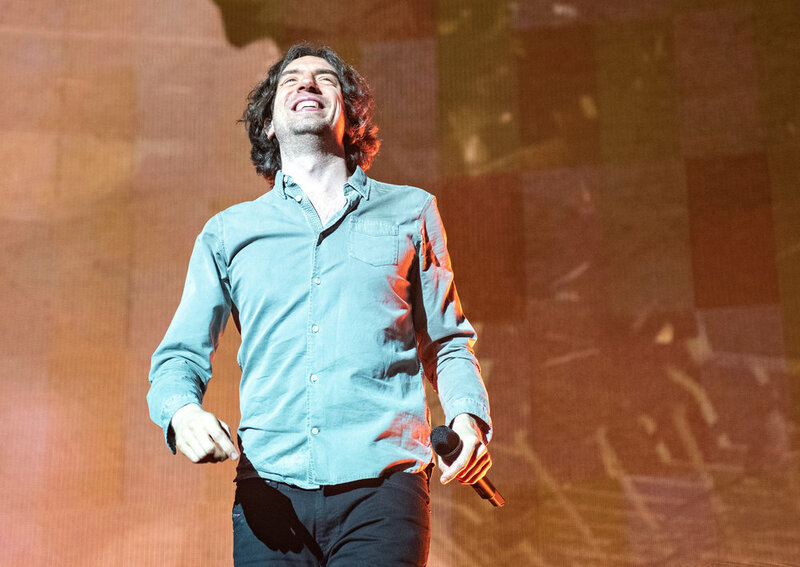 Gary Lightbody told the Scottish crowd before ratting through their back catalogue “It’s so good to be back… We’ve lived here for 10 years, It’s a big part of our lives”. Lightbody who has admitted to battling depression and heavy drinking during the group’s hiatus, yet such issues which are scarcely reflected in Wildness’s pristine surfaces. 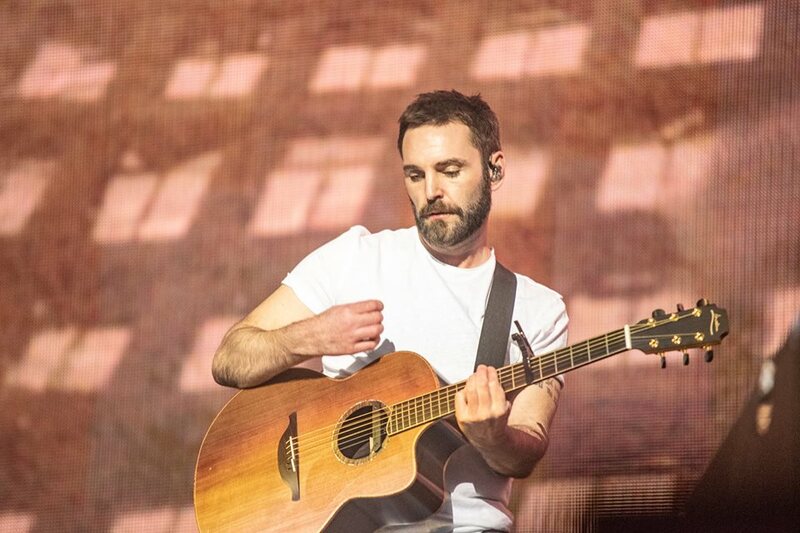 This stands out well on their new single, Empress which was played at start of their set, which could be projected on how to custom build a rousing, non-specific angst anthem that showed the sounds were great bouncing off The SSE Hydro dome roof. It’s immaculate precision engineering. 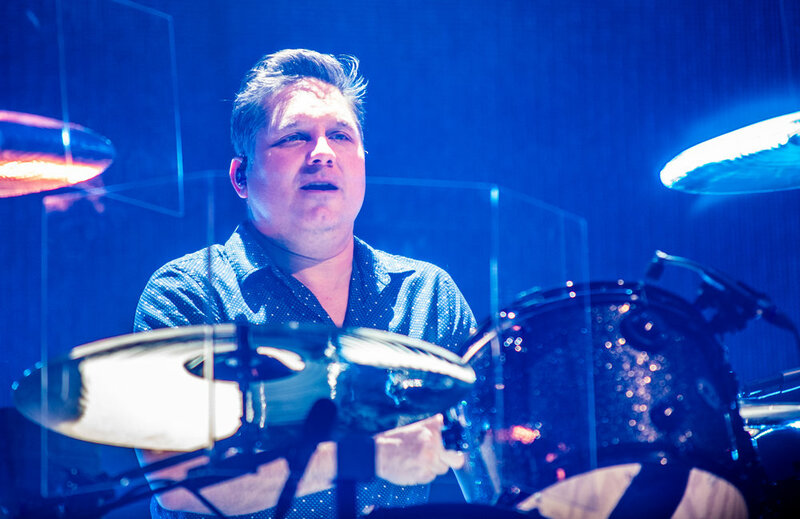 There set continued to play countless epic songs from their back catalogue which included the legendary, Open Your Eyes, Run and You Could Be Happy which all great response of treatment from the Glaswegian crowd. Melodies come easily to Snow Patrol as a band, but words definitely do not. Lightbody confessed during the set “the lyrics will never catch up with the music” he told the crowd, and wading through Snow Patrol words, he explained about this new song what it mean, he described their new song, Life on Earth, as the most proudest lyrics penned, “Its just life on Earth”, “this song took all this time write and we’re proud of it”. the chorus trills “It doesn’t need to be the end of you and me.” Lightbody explains. Ending their main set with two fan classics, Chasing Cars and You’re All I Have, which were both delighted by fans who were singing along to every words and ended their set by a storm. As band returned for their encore, Lightbody appears on stage for solo acoustic ballad performing their new track ‘What If This Is All All the Love You Ever Get?’ which comes across as another aspect of Lightbody’s depression which is seen on their new album Wildness. As rest of the band appear back on stage for their classic dance song ‘Just Say Yes’, Lightbody tells the crowd “we will be back in Summer Glasgow we’re going to be playing a lot here this year” which suggests Snow Patrol will be headlining TRNSMT Festival at Glasgow Green in July in the summer, this year’s line-up is still however still be announced. The evening’s performance from Snow Patrol was beautifully turned but way too efficient and opportunistic. They’ve proved why their still iconic band and still one of greatest bands live from Scotland. Despite being away for absence of time the Scottish crowd didn’t forget about them or their music.